Antimicrobials are chemotherapeutic agents that are effective in treating microbial infections. Antibiotics are antimicrobial chemicals naturally produced by particular microorganisms. ■ How is the microbe that makes penicillin different from the one that makes streptomycin? ■ Define and contrast the terms chemotherapeutic agent antimicrobial, and antibiotic. ■ How might Streptomycesgriseus cells protect themselv from the effects of streptomycin? 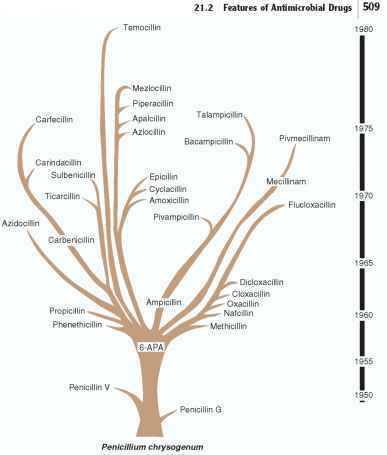 Figure 21.1 Family Tree of Penicillins All of the derivatives contain 6-aminopenicillanic acid (6-APA), the core portion of penicillin G.